I have always felt that individual investors (or perhaps any investor to some extent for that matter) have never got a complete handle of the decision on when to sell. Traders or speculators mostly have a fixed target for profit or stop-loss, but investors never seem to enter a stock with a clear exit goal. 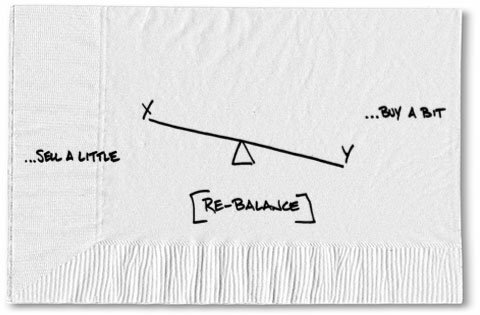 Rebalancing as a strategy might provide answers to solve this quandary – more than anything else for the individual investor. At a portfolio level, it provides you with a clear answer on when to sell, and, if required, it can be translated and implemented at an individual stock level also by more mature individual investors. Setting asset allocation limits at various levels in a portfolio can provide you with clear triggers on when to sell. So then, you stop asking yourself questions like – should I sell stock A at this price or wait for some time – questions which have no clear answers anyway. On the other hand, that answer is provided at an overall portfolio level, based on allocation limits. For example, to provide a complex set of rebalancing rules, consider the following: If you determine that equity will account for 60% of my portfolio, and within that, large cap stocks will account for 50% of the holdings, and then no industry will account for more than 25% and no stock more than 10%, then it becomes easier to take decisions on what and how much to sell when these allocation percentages go out of whack. And if you are not a direct stock investor, but take your exposure through mutual funds, it gets much easier than the above scenario, assuming that your fund manager is dealing with the rest. Therefore, ‘I bought stock A at X, should I sell it now at this price Y’ becomes a wrong and somewhat irrelevant question, and thankfully so. Of course, rebalancing is not a strategy that guarantees the highest returns. In certain cases, you may end up selling your winners, which in hindsight may not feel great. But for individual investors, who may have no particular reason to feel a sense of conviction about a specific stock, it provides a good way to reduce or manage risk. I do not think at a mathematical level, rebalancing has a very high impact on returns, but it sure reduces risk of excessive falls and locks in some of the profits. And if done correctly, it will also ensure that you buy equity at a time when every one is running away from it – in which case rebalancing affects your long term returns too. An important effect of this strategy might well also be at a mental or psychological level – because an individual investor feels he is in control and has been smart to book profits when his portfolio grows and to buy stocks when they were low in price. Therefore, less for returns, more for managing risk, and most importantly for the psychological advantage of getting emotion out of buy/sell decisions, rebalancing is a crucial strategy for portfolio management for individual investors. A lot of individual investors are so interested in getting answers to questions like which stocks to buy, at what price and when to sell – that they do not realize that these are the least important questions to get answered when it comes to building long term wealth. Perhaps the single most important decision that influences long term returns has got to do with allocation ratio of asset types. That is – how much of my income after expenses – i.e. 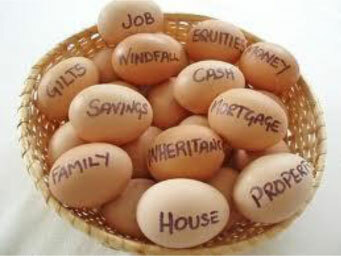 savings – do I put in various types of assets across stocks, fixed income, real estate, gold and cash? This is broadly referred to as portfolio asset allocation in financial parlance – and is the single most decision that impacts long term returns. 1. Decide your asset allocation based on your life circumstances: For an individual who does not intend to do investments full time (i.e. has a job or business for his regular income), an allocation of up to 60% in equity, 10% in gold and the remaining 30% in cash and fixed income might be the optimal allocation. It may not give best returns, but is likely to be something that is practically followed over the long term. 2. Select your core and peripheral assets within the allocation: For most individual investors, index funds or select actively managed mutual funds are the best vehicles for equity participation. 3. Review once a year, and Rebalance when allocation ratios go out of whack: i.e. if equities have grown and now account for 70% of assets, shift 10% into others by selling; similarly if cash/fixed income or gold value has increased, shift proportionately into equity. 4. Set up a system for this: both contributions and rebalancing, so that you do not have to take decisions frequently. 5. Keep increasing absolute amounts or relative asset allocation, as your income levels increase or decrease, life circumstances change or ability to take risk alters. This can be a framework for deducing a simple investment portfolio strategy for most individual investors. Once this is set up, the investor is likely to realize how unimportant the question of which stock to buy and when to sell really is.